Switch the Japanese, Korean and English. Conduct a search in a combination of business and industry. The list of major transport links in and around Yonago, such as industrial parks, we introduce the relationship between its position. 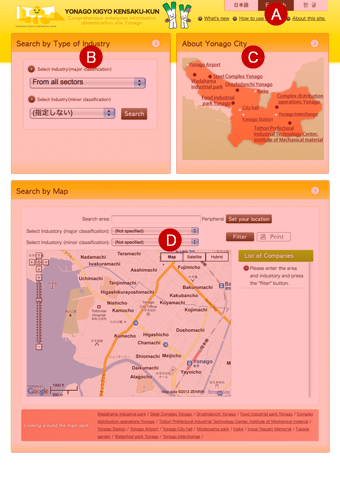 Displayed on the map do a search in the local area or industry. In addition, you can also search around the major attractions in Yonago.